Macy’s says it plans to close about 100 stores, close to 14 percent of its store base. Macy’s announcement Thursday that it will close about 100 stores threw into question the future of its Massachusetts locations, including a regional flagship in the center of downtown Boston. The Cincinnati-based chain said that its second-quarter profits and sales had fallen but that it had not made a final decision about which of its 728 locations would close and when. The company said it was also “examining opportunities” involving its real estate holdings at four of its downtown flagship stores in the United States. Chief financial officer Karen M. Hoguet said in an earnings call that the flagship locations under corporate scrutiny are its Herald Square location in New York, Union Square in San Francisco, State Street in Chicago, and a site in downtown Minneapolis. A spokesman declined to comment further. No decision has been finalized, but Boston could also be vulnerable, said Neil Saunders, chief executive of Conlumino, a New York consulting firm. The Boston store, located in the former Jordan Marsh building in Downtown Crossing, appears worn and in need of renewed investment. Macy’s in Downtown Crossing stoically weathered the dark days of the 2008 recession followed by a real estate debacle that left a giant dirt crater in the heart of the city’s central shopping district, practically at its doorstep. That hole has since been filled with Millennium Tower Boston, a soaring luxury high-rise where the sale of a $37.5 million penthouse condominium recently shattered city price records. And more luxury construction is planned for the neighborhood. That resurgence and the associated spike in property values might make it a smart time for the department store to consider cashing in. It also comes at a moment when online retail is disrupting the industry and traditional commerce. Department stores now compete with the e-retail world, including Amazon.com, which sells many of the same housewares as Macy’s and has been increasingly selling clothing, said Tom Caporaso, chief executive of Clarus Commerce, which offers a free shipping service for Macy’s and other retailers available to consumers who pay a subscription fee. “The shift in e-commerce, and the increase in online spending, is definitely pushing this move,” to close stores, he said. Caporaso also said Macy’s business has been whittled down by shoppers who turned to bargain stores such as TJ Maxx and HomeGoods during the recession and never returned to old shopping ways. Winning new customers will be key to Macy’s future. The chain earned $11 million, or 3 cents per share, in the quarter ending July 30, compared to $217 million, or 64 cents per share, in the same period a year ago. Revenue fell 3.9 percent to $5.87 billion. The company has already been closing stores, including 41 in the last fiscal year. It remains the largest department store chain in the nation with 26 locations in Massachusetts. Last year it closed two locations at malls in Lanesborough and Springfield, said Edgar Dworsky, founder of the website Consumerworld.org. Dworsky said it would be unthinkable for Macy’s to close the Downtown Crossing location, particularly as the area becomes more attractive to retailers as well-heeled residents move in. He said there’s still a strong market for old-fashioned brick-and-mortar stores, even in an era of increased online shopping and Amazon Prime, because consumers still compare prices and theirs are competitive. Yet there are good reasons why retailers scale back on floor space, said Sucharita Mulpuru-Kodali, an analyst at Cambridge-based Forrester, an advisory firm. The apparel category is increasingly competitive, she said, with players including Amazon cutting into business. And about 20 percent or more of department stores’ sales are now from online and e-commerce channels. 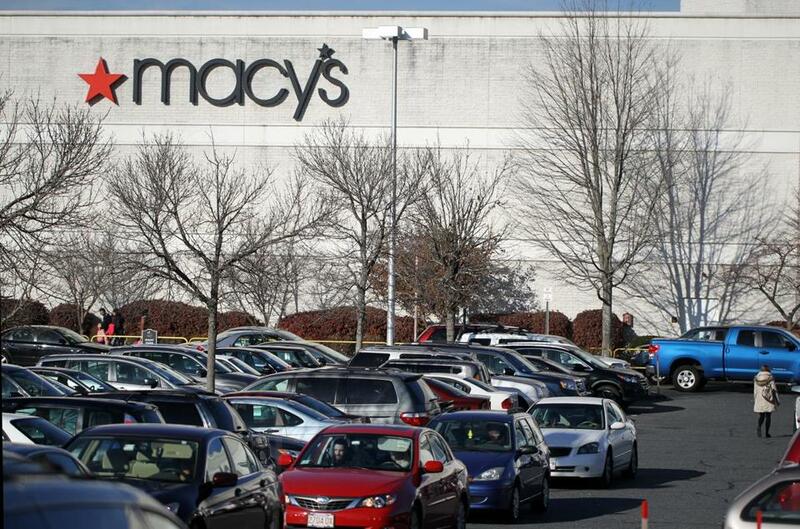 Exactly what that means for Macy’s in Massachusetts is not yet clear, she said, but the retail landscape is changing.